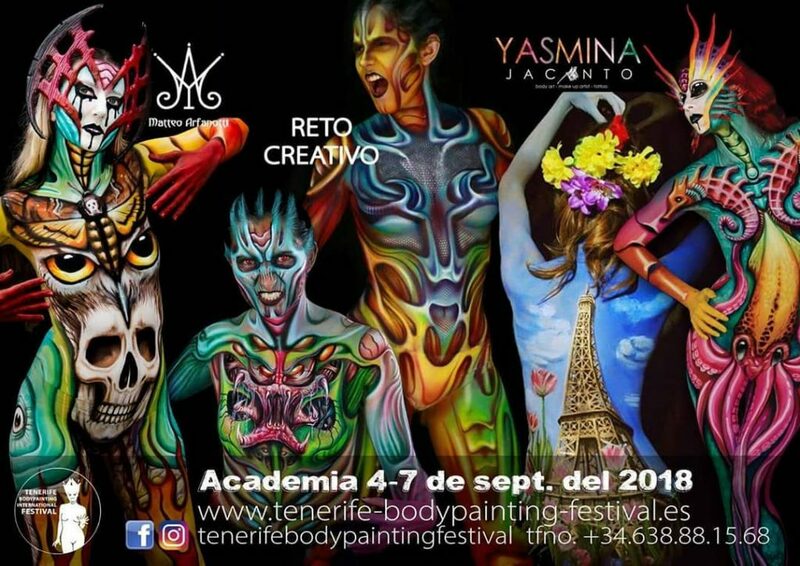 On September 8th the Bodypainting Festival Tenerife starts into the next round. A team of Senjo Color is on site and supports organizer Maike Karrer with a sponsoring. In the picturesque island idyll of the Canary Island, the art of body painting is highly regarded and finds its annual climax in the carnival, which seems to be in no way inferior to the carnival in Rio. The Bodypainting Festival is now the post-summer highlight and promises creative fireworks. The festival will start with a series of workshops starting September 4th. Highlight is of course the festival day itself on September 8, 2018, so if you are in Tenerife, don’t miss this event and come to San Cristobal de La Laguna.